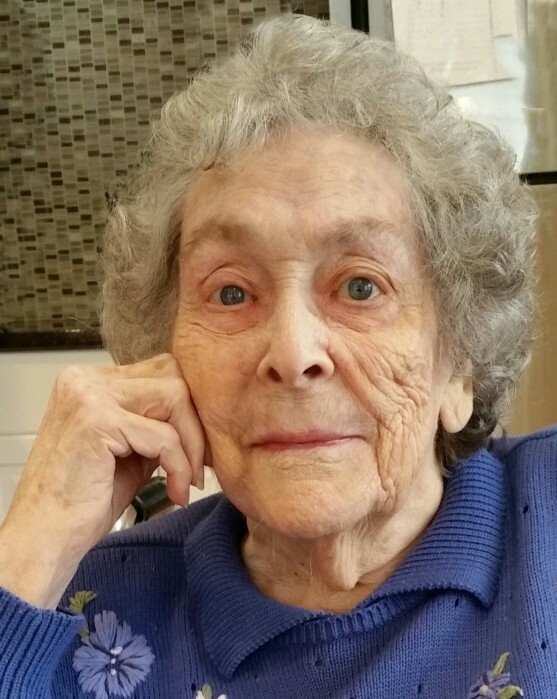 Janet (Smith) Case, 94, of Ludlow passed away on April 15, 2019 at Wingate at East Longmeadow. Born in Springfield on August 5, 1924 she was the daughter of the late Ernest L. and Frances (Palmer) Smith. Janet was a charter member of the Church in the Acres. She was an avid Red Sox fan and enjoyed knitting and sewing. Above anything else, Janet loved spending time with her family. She was predeceased by her husband, William W. Case and baby, David John Case. Janet leaves her three children, Howard Case and his wife Rosemary of Boca Raton, FL, Paul E. Case of Fort Ann NY, and Joanne Case of Chicopee; her brother, Ernest Smith of Pittsboro, NC; her three grandchildren, Debra Rodrigues, Jacqueline Senez, and William Case; her four great-grandchildren, Joshua and Jonathan Rodrigues, and Brienne and Nathalie Senez; two great-great grandsons; and her former daughter-in-law, Gisella Case of NY. The family would like to extend deep appreciation to the staff of Wingate at East Longmeadow for their compassionate care. All services for Janet will be held privately at a later date. Memorial contributions may be made to Church in the Acres or to a charity of one’s choice. For further information please visit byronkeenan.com.